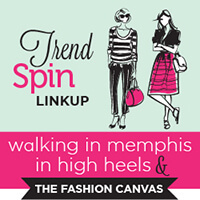 Good morning…I hope everyone is having a great Tuesday and thanks for stopping by today’s Trend Spin Linkup with Walking In Memphis In High Heels, Style Assisted and myself! Here are our featured bloggers from last weeks DRESSES trend spin linkup! Linkup up anything and everything this week! Share some of your favorite posts with us, but don’t forget to link back to us so more people can join the party. Next Week’s trend is SUMMER SHOES! The temps are heating up, and that means it is time to pull out all your summer shoes! From peep toes, to sandals, to jellies, we want to see your favorite summer shoes. Bloggers : All bloggers will be able to submit their post links via the inlinkz widget below every Tuesday at 8:00am CST with their take on our trend of the week. This will allow bloggers to show off their personal style, find new followers and meet some great fashionistas! You will also have the chance to be featured on our blogs the following Tuesday (if you make sure to link back to Laura and my blog) ! So grab the button and link up. 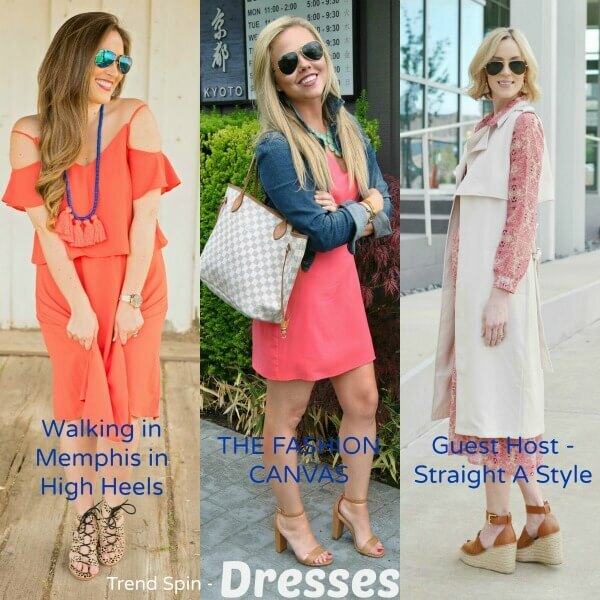 = ) For all bloggers we simply ask that you please follow your hosts – Walking in Memphis in High Heels, The Fashion Canvas and our guest host Style Assisted and provide a link to the Trend Spin Link-up in your post or add the button below to your blog. Don’t forget to stop by everyones blogs to see how they wore the trend today. Leave a comment on my blog, and also on at least 5 other blogs! Good morning…I hope everyone is having a great Tuesday and thanks for stopping by today’s Trend Spin Linkup with Walking In Memphis In High Heels, Straight A Style and myself! Here are our featured bloggers from last weeks HAIR trend spin linkup! During the spring and summer months, I live in dresses! They are so easy to throw on and I end up wearing them to work, on the weekends and even running errands. I ended up grabbing an oldie out of my closet because I was loving the coral color. Lately I have been trying to wear more pieces from my current clothing collection since I have so many pieces that I don’t get to wear that often. What is a piece in your closet you could pull out and re-wear this week? Bloggers : All bloggers will be able to submit their post links via the inlinkz widget below every Tuesday at 8:00am CST with their take on our trend of the week. This will allow bloggers to show off their personal style, find new followers and meet some great fashionistas! You will also have the chance to be featured on our blogs the following Tuesday (if you make sure to link back to Laura and my blog) ! So grab the button and link up. 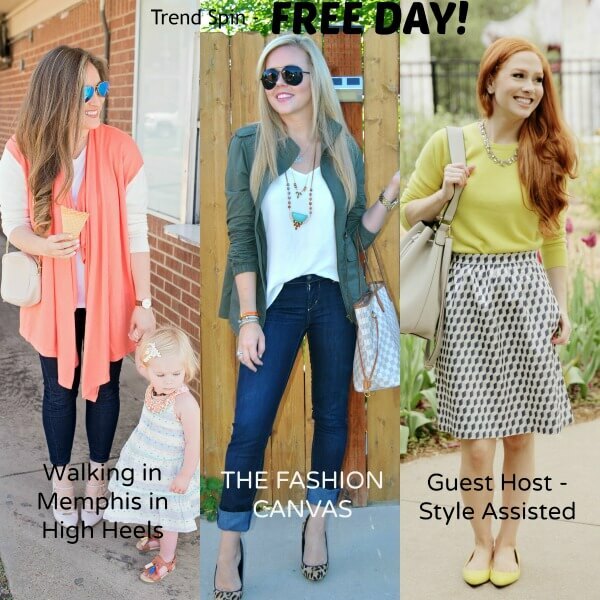 = ) For all bloggers we simply ask that you please follow your hosts – Walking in Memphis in High Heels, The Fashion Canvas and our guest host Straight A Style and provide a link to the Trend Spin Link-up in your post or add the button below to your blog. Don’t forget to stop by everyones blogs to see how they wore the trend today. Leave a comment on my blog, and also on at least 5 other blogs! 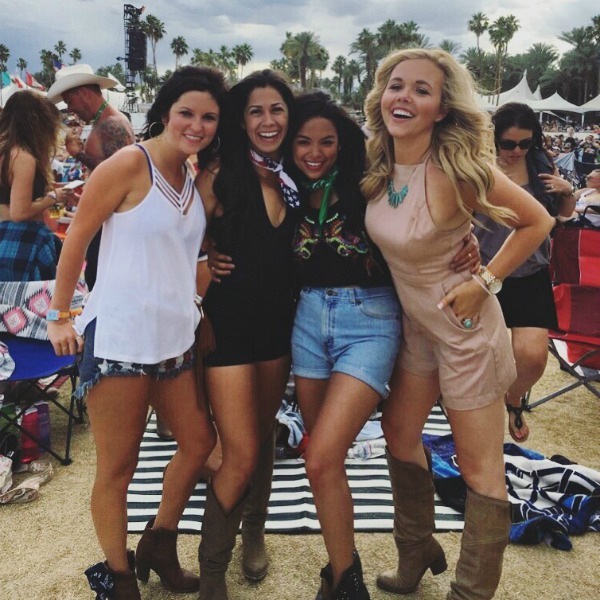 If you follow my Instagram, you many have noticed that a few weeks ago I attended Stagecoach in Palm Spring, California! 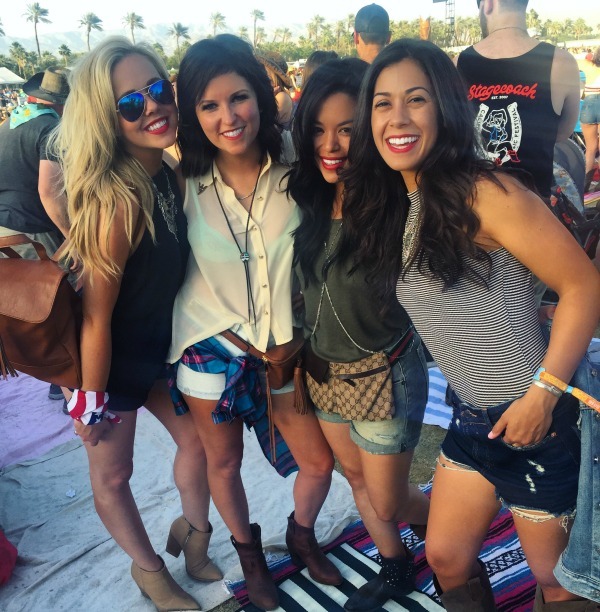 It is a 3-day music festival that is all about Country Music, and let me tell you, it was a BLAST! 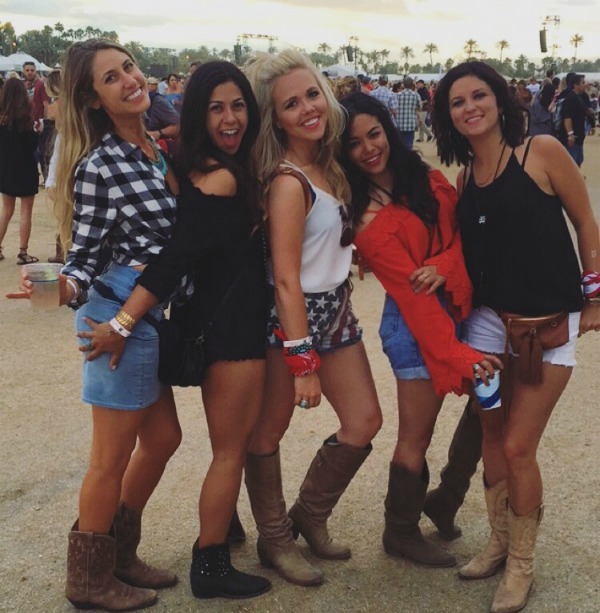 I went down with three of my best girlfriends and had the best time. Between spending time at the hotel pool, eating at fun restaurants and sining the night away at the concert, it was a weekend to remember. 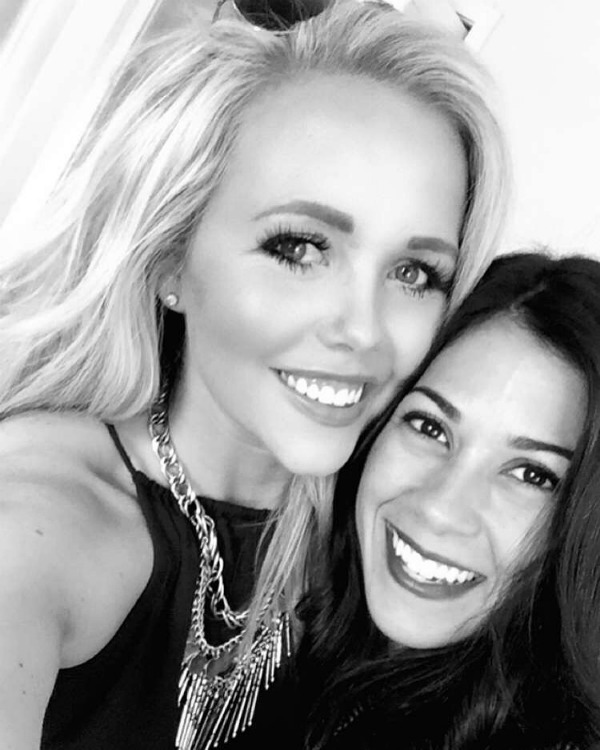 Make sure to follow @thefashioncanvas to follow along, or follow my snapchat Erin – The Fashion Canvas to always see my latest updates! 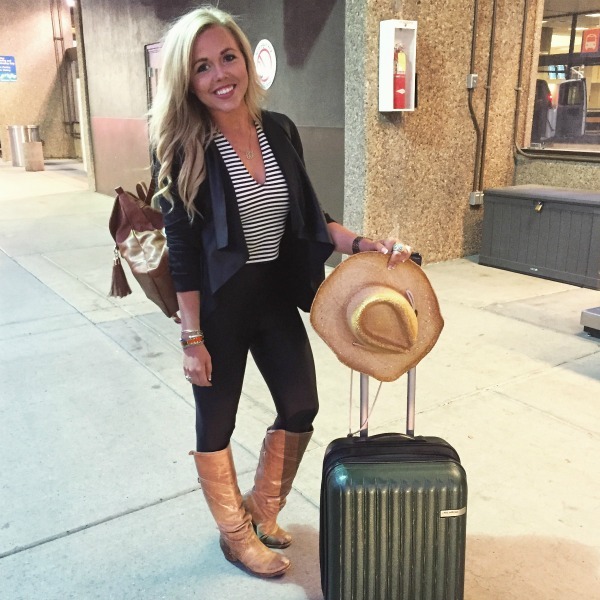 When I took these photos, I was heading out to the airport for a weekend at Stagecoach (the best country music festival ever). Typically you will see me haling heavy bags through the airport, looking fashionable, yet extremely uncomfortable. So this time around, I reversed my mentality and borrowed my sisters darling backpack from Sole Society and it made my life a THOUSAND times easier. Having your hands completely free while traveling is so convenient. And a backpack can be both practical and stylish. Check out some of my favorites below that I am currently drooling over!